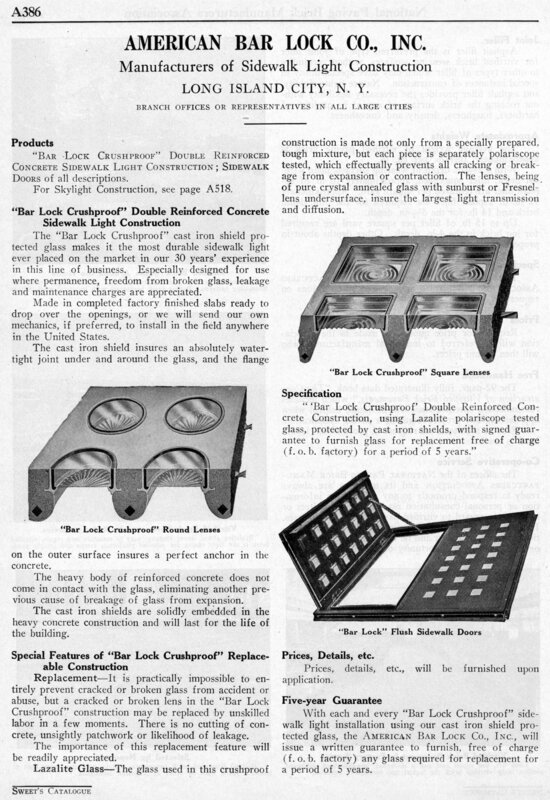 AMERICAN BAR LOCK CO., INC.
"BAR LOCK CRUSHPROOF" DOUBLE REINFORCED CONCRETE SIDEWALK LIGHT CONSTRUCTION; SIDEWALK DOORS of all descriptions. For Skylight Construction, see page A518. The "Bar Lock Crushproof" cast iron shield protected glass makes it the most durable sidewalk light ever placed on the market in our 30 years' experience in this line of business. Especially designed for use where permanence, freedom from broken glass, leakage and maintenance charges are appreciated. Made in completed factory finished slabs ready to drop over the openings, or we will send our own mechanics, if preferred, to install in the field anywhere in the United States. 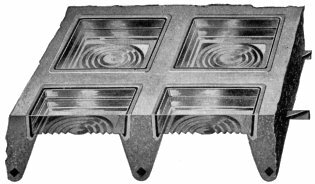 The cast iron shield insures an absolutely water-tight joint under and around the glass, and the flange on the outer surface insures a perfect anchor in the concrete. The heavy body of reinforced concrete does not come in contact with the glass, eliminating another previous cause of breakage of glass from expansion. The cast iron shields are solidly embedded in the heavy concrete construction and will last for the life of the building. Replacement—it is practically impossible to entirely prevent cracked or broken glass from accident or abuse, but a cracked or broken lens in the "Bar Lock Crushproof" construction may be replaced by unskilled labor in a few moments. There is no cutting of concrete, unsightly patchwork or likelihood of leakage. The importance of this replacement feature will be readily appreciated. construction is made not only from a specially prepared, tough mixture, but each piece is separately polariscope tested, which effectually prevents all cracking or breakage from expansion or contraction. 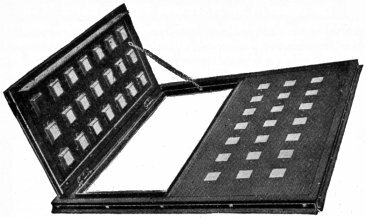 The lenses, being of pure crystal annealed glass with sunburst or Fresnel-lens undersurface, insure the largest light transmission and diffusion. 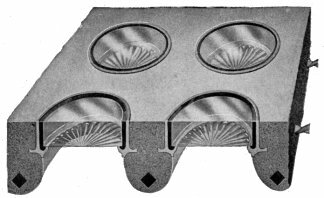 "'Bar Lock Crushproof' Double Reinforced Concrete Construction, using Lazalite polariscope tested glass, protected by cast iron shields, with signed guarantee to furnish glass for replacement free of charge (f.o.b. factory) for a period of 5 years." Prices, details, etc., will be furnished upon application. With each and every "Bar Lock Crushproof" sidewalk light installation using our cast iron shield protected glass, the AMERICAN BAR LOCK CO., INC., will issue a written guarantee to furnish, free of charge (f.o.b. factory) any glass required for replacement for a period of 5 years.